For T-Mobile subscribers looking for some mid-range Nokia flip action, the 7510 would seem to fit the bill. It's a bit of an odd duck, however, and may have enough quirks to take a long hard look at what it really has to offer...and then look at what's on the shelf next to it. The Flip 30 + Nomad 7 Plus Kit from GoalZero includes a USB battery pack and solar charging panel. For people who spend lots of time outdoors away from AC power, the Nomad 7 Plus panel lets you charge the Flip 30 battery directly — or any phone or other USB-compatible device — using the power of the sun. 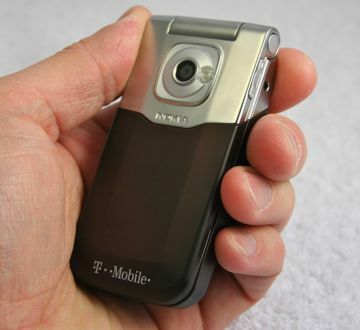 AT&T recently added the Cingular Flip to its lineup of inexpensive feature phones. The phone is made by TeleEpoch and bears the model number M3620, but AT&T named it the Cingular Flip to give it some visibility. Verizon Wireless recently added the LG Exalt LTE to its lineup of inexpensive flip phones. The Exalt LTE has the distinction of being Verizon's first 4G LTE basic phone, according to the carrier. Google can now let you know just how long the wait will be at your favorite restaurant. Google is adding live wait times to Google Search and Google Maps.